Toronto's green bin composting program is hugely underrated. Each week roughly a million containers of kitchen waste and other organic material is collected, processed, and turned into useful products like biogas and soil. If you've ever wondered how the magic happens, read on. 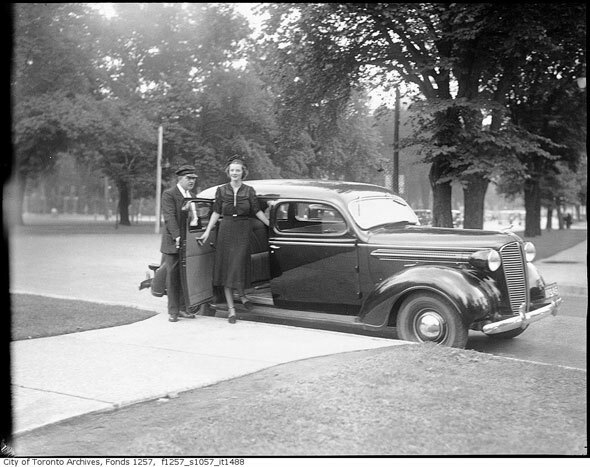 This week's post also takes a look at old-time chauffeur duties in Toronto and wonders what ever happened to the old sign on the disused Eastern Avenue bridge. The lead image by Ben Roffelsen shows the Yonge subway tunnel just before it curves into Union Station. Close by, major engineering projects by Metrolinx and the TTC are adding new concourses and subway platforms to the grand Front Street building. On the surface, the City of Toronto is finalizing plans for a revised area outside the station that includes a new section of PATH tunnel and improved drop-off and pick-up areas. 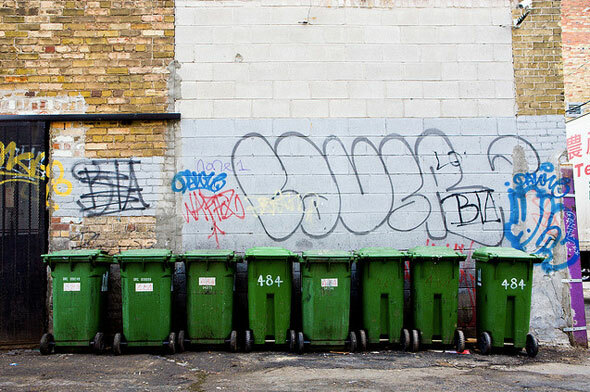 This week, the city's green bin recycling scheme became the latest victim of budget constraints at city hall. 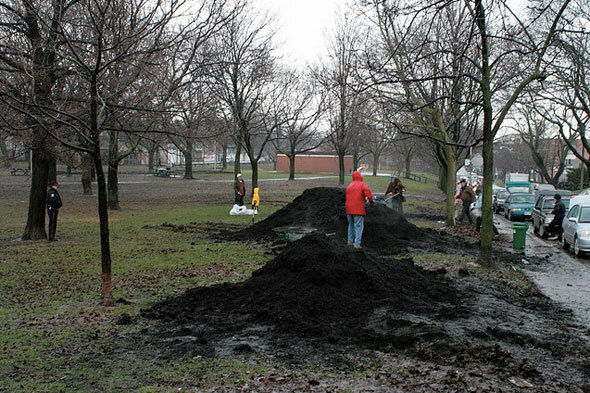 New funds needed to reach a 2007 target for waste diversion didn't make it into the 2013 solid waste budget, and some councillors fear we might grow stagnant on composting kitchen waste. Currently just 49 per cent of waste finds a better home away from a landfill. Your neighbourhood's kitchen waste is gathered up in a special "organics" compartment at the back of the garbage truck and taken to a processing plant where any unwanted foreign objects are removed. Roughly a million bins are handled by collection workers each week. The bagged compost is put into a hydropulper, which the city described as "like a large blender." The plastic bags are separated from the organic material and water is added to make a really disgusting smoothie. Here's where it gets cool. A giant container similar to a backyard composter creates perfect conditions for naturally occurring bacteria in our mush to develop and grow. After 20 days, the material has separated into biogas, a combustible mixture of methane and carbon dioxide, and a brown "digestate." Biogas is a renewable energy source and roughly 110 cubic metres of the stuff is created from single ton of green bin waste, the equivalent of 670 kwh of energy, enough to power a single freezer for an entire year. Waste air is passed through a filter to remove the stench of decomposition before its released back into the environment and water is squeezed back out of the organic material. Our now waterless waste material is taken to the final processing plant outside the city where its left to develop into usable soil. Naturally occurring bacteria and fungi break down any remaining organic material in the digestate over six months. When it's finished, the material is safe to use in gardens. Earlier this year, many Torontonians were calling for Rob Ford to get a chauffeur and stop terrorizing the Gardiner Expressway with his distracted driving. But what would exactly does a chauffeur have to do? 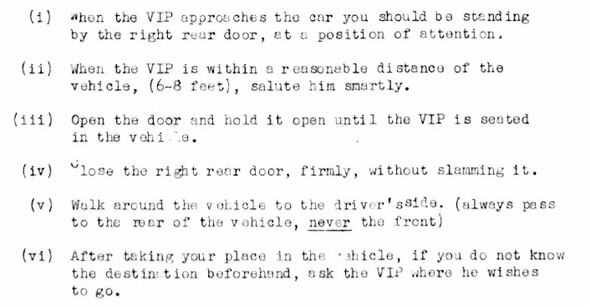 Picking through the archives this week, I found an old instruction and etiquette manual for official drivers that details how to arrive, drive, and deliver dignitaries to their destination without upsetting or generally enraging anyone. Later, the manual tells drivers how to speak with their patrons with comical use of speech marks. What Happened to the Eastern Avenue Bridge Sign? 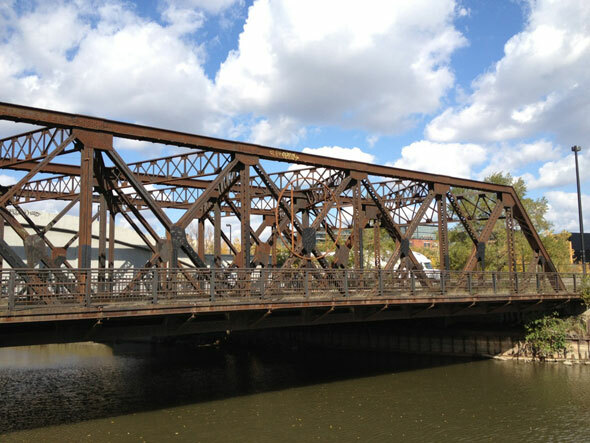 The abandoned and marooned Eastern Avenue bridge across the Don River, marooned by rail tracks on one side and the Don Valley Parkway on the other, cuts a sorry figure from the cycle path that passes by its western end. Looking at recent pictures, an old orange life preserver sign once hung from the side of the bridge, labeling the river below. Now it's gone and just the mount remains. Did it meet a watery grave or get lifted by some light-fingered walkers? No-one seems to know. Advertising boards around the city and on the TTC this week have been showing worrying images of rapidly receding glaciers along with pithy cartoons and ominous warnings of our present environmental problems. Part of Ship of Fools: Artists and Climate Change, an introduction to a larger installation coming to the ROM this next year, the videos aim to boost climate change awareness by commandeering advertising space around the city.